Health Canada, Your Decision about Citronella Stinks! | Nascent Naturals Inc.
Home Education Health Canada, Your Decision about Citronella Stinks! ** I originally posted this article last September when Health Canada announced their senseless ban on citronella based insect repellents. I found the timing sneaky as it was at the end of the season. I am re posting now as a reminder that we should all be concerned for many reasons. Bug season here in Canada is quickly dissipating, but opposition to a questionable decision on the part of Health Canada should be growing. Yes I’m talking about their illogical choice to ban citronella as an insect repellent; Illogical because there is a plethora of safety data to suggest that products containing citronella are safe. 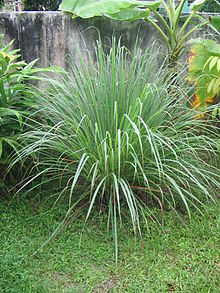 Citronella has been used for years and in many countries worldwide. Even the USA still allows citronella based products. The original scrutiny and following ban is hinged on 2 issues. The first is that citronella used in repellents could not contain any methy eugenol. Many varieties do not contain any, while some varieties have small amounts of up to 2 % within the oil which is rather insignificant. For years leading up to the ban, Health Canada made companies that sold natural insect repellents spend thousands of dollars to prove that their citronella did not contain this natural chemical; Interesting that this compound is found to have much higher concentrations in other oils such as cinnamon, basil, nutmeg and dill which are used extensively in food, perfumery, dentistry and other pharmaceutical products. In fairness, there are restrictions on the addition of pure eugenol to products, however, I have never understood why they have been so rabid about this paltry amount. The second issue revolves around studies conducted which showed possible health hazards to rodents that ingested the pure oil which may in turn translate to health issues if a person drank the product. Yes you read that correctly. First of all, insect repellents do not contain 100% pure citronella, rather a smaller concentration under 10%. Aside from the disgusting pointless and senseless aspect of the animal testing, I doubt the rodents drank it voluntarily. Also we do not know how much was consumed and over what period of time, or what health issues arose with these tortured little beings. In case Health Canada forgot, they implemented mandatory, sensible warnings and instructions for use, a looong time ago to be placed on labels of all products for this reason. You know; catchy phrases such as “KEEP AWAY FROM CHILDREN” or “NOT FOR INTERNAL USE”. If Health Canada wants to base decisions to ban a product on the possibility that it could pose harm if ingested, then most non-food products on our shelves would have to be removed. For crying out loud, shampoo is harmful if ingested yet we use it every day. They still allow DEET (N-Diethyl-meta-toluamide) in concentrations of up to 30% within a product despite the growing scientific evidence about its safety. This is a chemical which was originally developed as a pesticide! Are we to believe that drinking DEET products are safe? I think not! So what do you say about that Health Canada? Scientists who have conducted exhaustive studies and advised HC that citronella is safe, are bewildered. “It’s the basis of the ban that I don’t really understand,” says toxicologist Sam Kacew. How do you explain mounting proof by qualified scientists that DEET which has only been around since the 1940’s, is potentially harmful especially if swallowed yet approved, while the harmless and natural essential oil of citronella which has been around and used for centuries, is subject to ridiculous scrutiny ending with an unceremonious ban? I think I have an answer and it is right from a quote I have taken from the original article. “DEET passed Health Canada’s scrutiny because the manufacturers provided the required safety data. But citronella — an extract from lemon grass — has never been patented, which makes it an unattractive investment for costly studies”. Translation; it’s all about money and your health, welfare and freedom of choice are compromised. This is a major revelation in the debate over the safety of natural products vs manufactured chemicals and something we should all pay attention to, unless we want to see all natural products disappear. You see, naturally occurring chemicals and raw materials cannot be patented as they are inconsistent and in the public domain. Therefore no incentive exists for big companies with all the money to conduct studies. It all goes to manufactured synthetic ingredients which can be patented, generating millions in profit. With big dollars at stake, studies and safety data can be manipulated and government decisions influenced. Anything which stands in the way of profits such as natural ingredients can be steamrolled into the ground because the “safety is not proven”; How convenient. I have a lot of respect for Health Canada as they provide some of the best safety standards in the world for products we use, but for decisions like this that are not justified, the public and affected companies deserve better treatment. And please don’t patronize us about safety. We don’t believe you on this one. Many small businesses that produce natural insect repellents were forced to spend millions of dollars to successfully prove safety only to see that money flushed down the drain as well as jobs. Truly demoralizing to those who care and believe in these products. When you diminish the efforts of those who strive to have a positive impact on our economy and environment, it is not good for society. I doubt big corporations give a damn. I do not sell my own line of natural insect repellents, but have developed formulas for other companies so I know of their trials and tribulations plus the research and care they have put into providing quality products. Many of us who have been in the business for years can show you how to make your own natural insect repellents. I believe that this may be all that is left for us to do in Canada. I would be happy to teach anyone who would like to regain the choice to use something that has been proven safe and natural, especially for children. I suggest others do the same. In the mean time, don’t wait to express your disapproval with Health Canada next spring, over this issue. It may be too late. There is a foul odor coming from Health Canada these days and it certainly doesn’t smell anything like lemon, rather it reeks of DEET. © 2014 Nascent Naturals Inc. All rights reserved.